Is the view from your window still as dull and boring? There is nothing easier than improving it and making your garden a beautiful place to relax. Even in autumn you can plunge into the beautiful decoration of your beloved garden while breathing fresh air, which is certainly beneficial to your entire body. But you have no inspiration or resources? It’s not always about money, you might not even think of what you can do with everything you have at home. Surely at home you will find a piece of unnecessary wood left from a felled tree. Just have a handful of handy partner, and the rest of the wood can be a bird box, a small bench or a flower box. 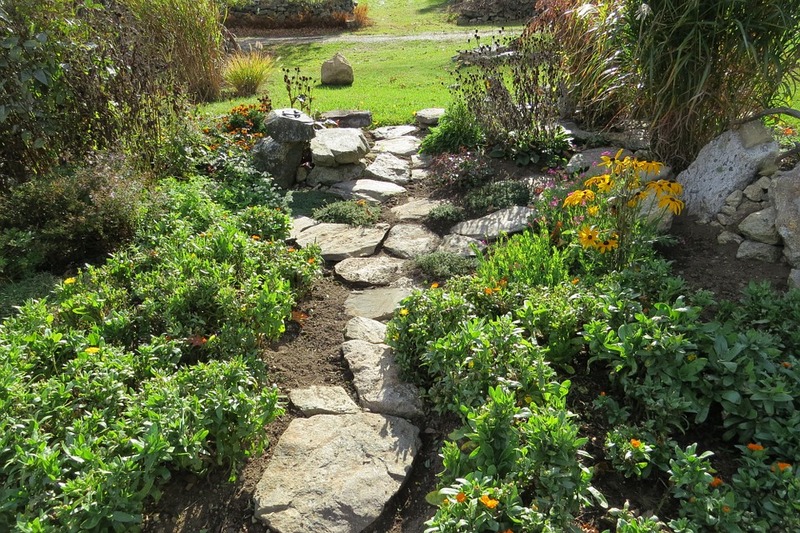 Make a beautiful walkway. Simply link the resin stones and adjust them to the shape you imagine and you have a beautiful new walkway that lasts long, does not slip and is tough. Instead of stones, you can also use pavements or pebbles. If you have any water in the garden, make sure to use it and create an outdoor wall sink! Or just get some stylish tap and your garden gets a better touch. In addition, you can make a faucet with a mosaic made of broken, unusable glass, which you can easily make to create a work of art. Make your children happy – they still love the sandbox! And it really is nothing complicated. Just pair a plank, best pour it with concrete and fill the sand. And a great sandbox is in the world. And if the planks are still painted with pastel colors, your children will be very happy. Make your children happy – they still love the sandbox! And it really is nothing complicated. Just pair a plank, best pour it with concrete and fill the sand. And a great sandbox is in the world. And if the planks are still painted with pastel colors, your children will be very happy. If you like shopping and have enough money, head out to the gardening shopping mall where you will find plenty of accessible decorations for your garden that will surely delight you and make the view from your window more enjoyable. For example, you can buy a favorite gypsy dwarf, which will be a “protector” of your garden, and you will always be in a good mood when you look at his laughing face. PREVIOUS POST Previous post: Plants to the bedroom? Certainly!